Smoking fish is a dry heat method of cooking used to preserve food which imparts distinctive flavors and textures. It's one of the most delicious ways to cook any fish. Any kind of fish can be used, however, smoking is especially good with rich oily, to moderately oily fish. Some of the most popular species of freshwater fish used for smoking include char, salmon, shad, sturgeon, and trout. Some people prefer leaner fish such as bass, pike, or various species of panfish. Even drier trash fish like carp and sucker fish can shine through as a delicious main dish. Cold smoking smokes but does not cook the food. Cold smoking fish offers a mild to strong flavor. This method is better suited for large scale commercial companies. However, salmon is the common choice for the die hard individuals who enjoy doing this at home using improvised smokers or old refrigerators. This method requires maintaining a temperature of 60° to 110°F for a few hours. 70° to 90°F is even better. Hot smoking smokes and cooks the food. Hot smoking fish is a much more manageable technique than cold smoking. The best way for hot smoking? Using an outdoor smoker would be the way to go. Smokers come in many different styles and variations, including electric, gas, wood, and charcoal fired, as well as vertical water smokers. 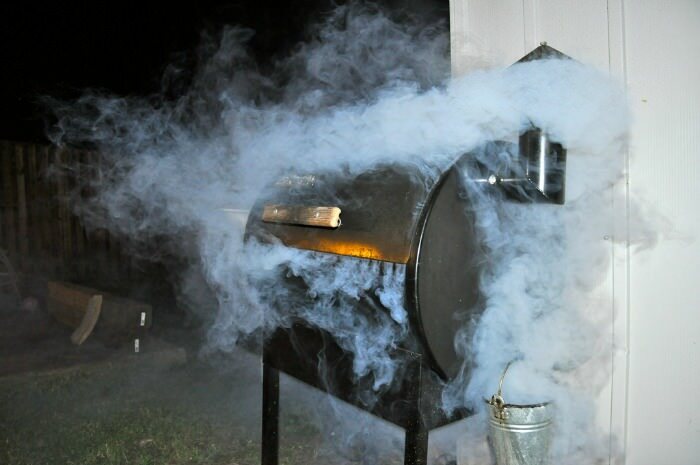 If you don't own a smoker, you can alternatively use your stove or barbecue grill. Or build one with a few common things found laying around and using a little bit of ingenuity. You want the temperature to remain as low as possible and making sure not to allow it to become hotter than 200°F. 100° to 120°F is good. 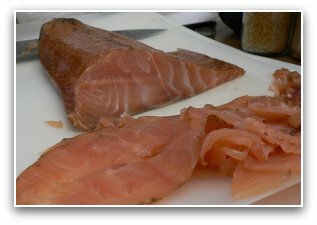 And 150° to 170°F is best for quick and easy smoked fish fillets in an hour. The fish should be cured first before smoke preserving it. Curing is another method of preserving. Preserving before preserving? Why? Because it helps to extend the shelf life of the fish. This preliminary curing step involves soaking the fish in a salt brine, anywhere from a few minutes to a few hours. Sugar and spices may be added to it as well. The brine is usually 1 part salt to 7 parts water. The amount of time for the brine cure depends on the size and type of the fish. Pieces 1 inch thick will need about two to three hours for a medium cure. More or less time will determine more or less amount of the salt content that will be infused into the fish. The same applies accordingly for smaller and larger pieces of fish. After the fish is finished curing, allow it to dry thoroughly before you smoke it. You can season it if you so desire to. Then place it in your smoker for about an hour or until the fish is done, depending on its size. Backyard Smoking Meat and Fish with the Traeger Grill. Fillets should be placed skin side down, or hang the fish on hooks in the smoker if possible. You should check it often to make sure it does not overcook. It should be a nice golden brown and flaky, and will taste delicious. The Traeger grill seen in the picture just above uses an electronic autostart with a temperature controlled thermostat. Just flip on the switch, walk away, and return when it's time to be done. What Types Of Wood Are Best To Smoke Fish? So, which kind of wood is used for smoking fish? Each type of wood provides a different flavor. The most common type of wood traditionally used for smoking is almond, which is one of my favorites. 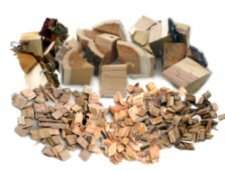 Other excellent choices of wood I like to use are hickory, maple, mesquite, oak, pecan, and occasionally fruit woods, such as apple and cherry.